The new hotel at the Pike & Rose complex in North Bethesda offers samples of local craft beers, produce from Maryland farms and even honey from a local beekeeper. 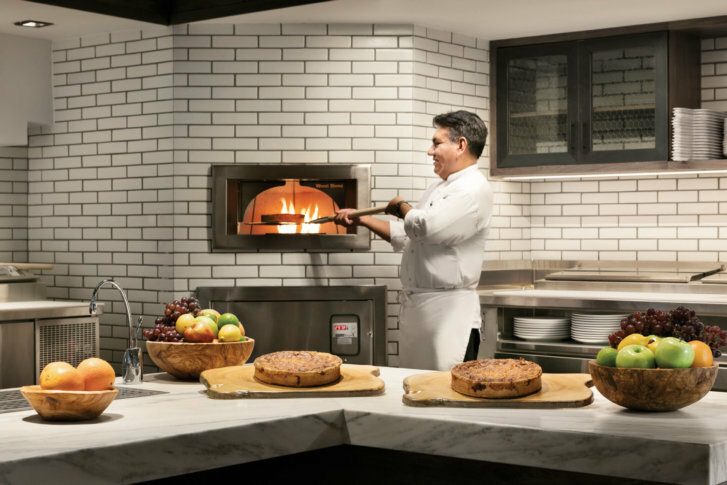 WASHINGTON — Hilton’s new hotel brand, Canopy by Hilton, aims to feel local, instead of national, and its second North American location is open in North Bethesda, Maryland’s Pike & Rose complex. There are only three of the new hotels worldwide, and two of them are in the D.C. area. The other North American location is at The Wharf on the Southwest waterfront. In keeping with the local theme, the Maryland location is sourcing from nearby breweries, distilleries, farms and bakeries. The 177-room hotel’s restaurant, Canopy Central Cafe, buys all produce from Maryland farms within 50 miles of the hotel. Its small plates menu is influenced by regional flavors. Beer-lovers get nightly tastings of local Maryland craft beers, including brews from 7 Locks Brewing in Rockville, Jailbreak Brewing in Laurel and Waredaca Brewing in Damascus. The rooftop terrace, called “Pike’s Perspective” also features D.C.’s Rock Creek Bourbon from One Eight Distilling, the first bourbon distilled in D.C. since Prohibition. Breakfast includes croissants and pastries from Bethesda’s Fresh Baguette. Snacks for arriving guests include Honey Sticks from Maryland’s Banner Bees and the hotel showcases neighborhood inspired artwork, furnishings and accessories. The third Canopy by Hilton is in Reykjavik, Iceland, and 17 others are planned in the U.S. and abroad this year. McLean, Virginia-based Hilton said it spent several years developing the Canopy concept. Research showed consumers wanted a local experience at each hotel.